Alexander Alexandrovich Alekhine (sometimes spelled "Aljechin") (in Russian, Александр Александрович Але́хин), (October 31 or November 1, 1892 – March 24, 1946) was a chess master, one of the great world chess champions. He was known for his fierce and imaginative attacking style. Alekhine was born into a wealthy family in Moscow, Russia: his father was a landowner and a member of the Duma; his mother, who along with his brother taught him chess in 1903, was the daughter of a rich industrialist. Alekhine�s first chess accomplishment was when, in 1909, at the age of seventeen, he won the All-Russian Amateur Tournament in St. Petersburg with a score of twelve wins, two losses and two draws. He was awarded a national master title for this performance. The tournament was held concurrently with the more famous professional international event won by Emanuel Lasker and Akiba Rubinstein. Meanwhile, in the United States, later that year a twenty-three-year-old Cuban by the name of Jos� Ra�l Capablanca shocked American chess players by thrashing Frank Marshall in a match. The lives of Alekhine and Capablanca would soon intertwine. In 1914, after playing a tournament in Saint Petersburg, Alekhine became one of the five original grandmasters of chess (the others being Lasker, Capablanca, Tarrasch and Marshall). 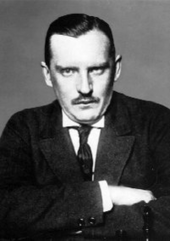 Alekhine became cosmopolitan in his life, living in many countries, and speaking Russian, French, German, and English. Following the Russian Revolution, in 1919 he was suspected of espionage and imprisoned in Odessa. He was eventually freed and moved to France in 1921, where four years later he became a French citizen and entered the Sorbonne Faculty of law. Although his thesis on the Chinese prison system went uncompleted, he was known as Dr Alekhine for the rest of his life. In 1927 he won the title of World chess champion from Capablanca; subsequently, he refused to grant Capablanca the rematch that was one of the conditions of their match. He even succeeded in having Capablanca banned from the same tournaments. In 1935 he lost the title to Max Euwe, a loss that is often attributed to Alekhine\�s alcohol abuse. In 1936, since he was no longer world champion, he couldn\�t oust Capablanca from Nottingham, and Capablanca won both their individual game and the tournament (tied with Mikhail Botvinnik). Alekhine gave up alcohol and regained the title from Euwe in 1937 by a large margin. He played no more title matches, so he held the title until his death. While planning for a World championship match against Botvinnik, he died in his hotel room in Estoril, Portugal. His death, the circumstances of which are still a matter of debate, is thought to have been caused either by his choking on a piece of meat or by a heart attack. His burial was sponsored by FIDE, and the remains were transferred to the Cimetière du Montparnasse, Paris, France in 1956. Alekhine was an avid student of the game. Several openings and opening variations are named after him. The Alekhine Defence (1. e4 Nf6 in algebraic notation) is the most important. There is also the Alekhine-Chatard attack (1. e4 e6 2. d4 d5 3. Nc3 Nf6 4. Bg5 Be7 5. e5 Nfd7 6. h4), a pawn sacrifice in the French Defence. ahl-YEKH-een. The pronunciation Алёхин (ahl-YOKH-een) is a common variant, but Alekhine grew angry if his name was said in this way. Winter, E. G. (ed.) (1981). World Chess Champions. Pergamon. ISBN 0-08-024094-1. Chernev, Irving (1995). Twelve Great Chess Players and Their Best Games. Dover. ISBN 0-48-628674-6. This article is based on the article Alexander Alekhine from the free encyclopaedia Wikipedia and stands under the GNU-Licence for free documentation. In the Wikipedia a list of the authors is available.